Are you in the middle of “Sprinter?” We sure are! Or, maybe it’s just Winter in Cleveland! How do we cope with these sunless, cold, damp winters? 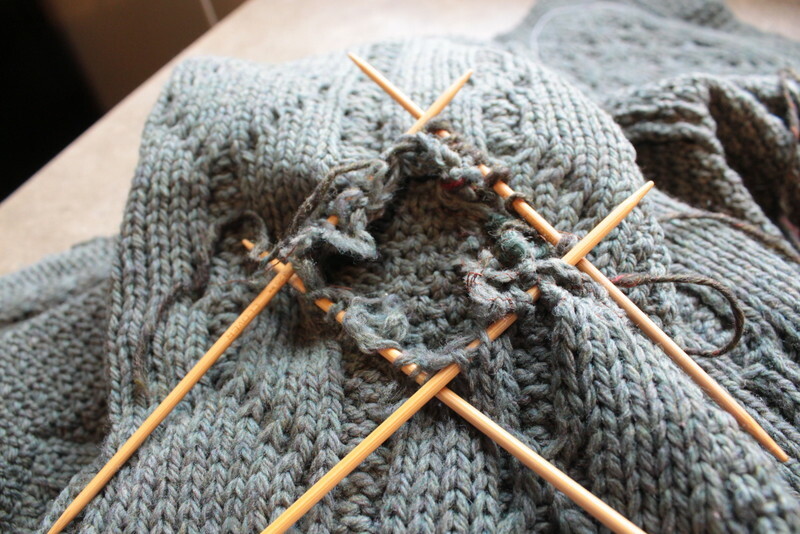 Perhaps with a wee bit of Jameson, cozy knitting, and an embrace of winter sports. By March we have given up on (most of) those and we are hoping to break out our spring clothes. But Mother Nature has other plans. 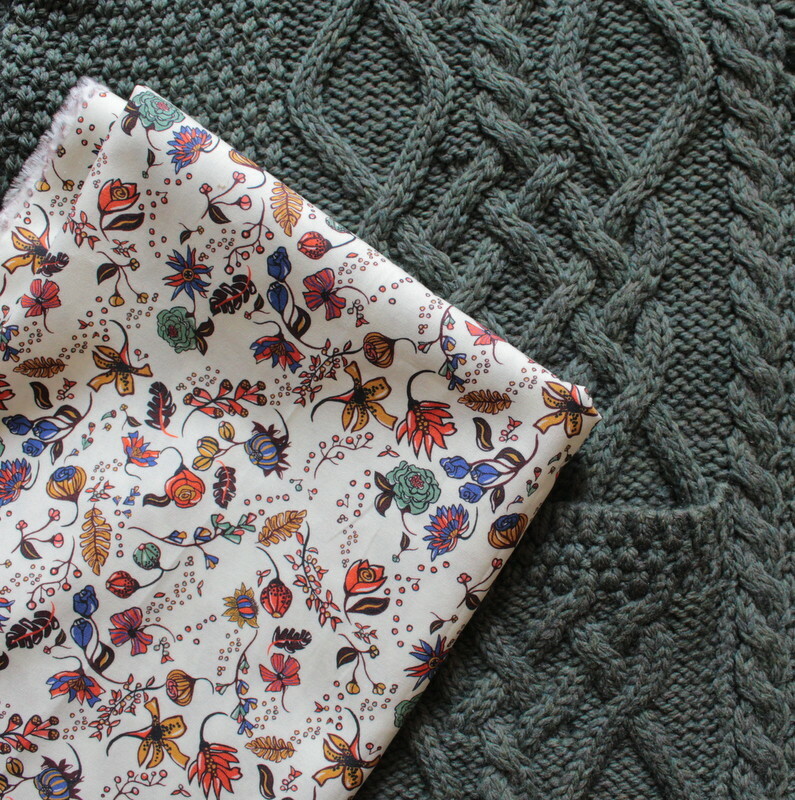 Well, I decided that winter meets spring with a wool + Liberty of London mashup. 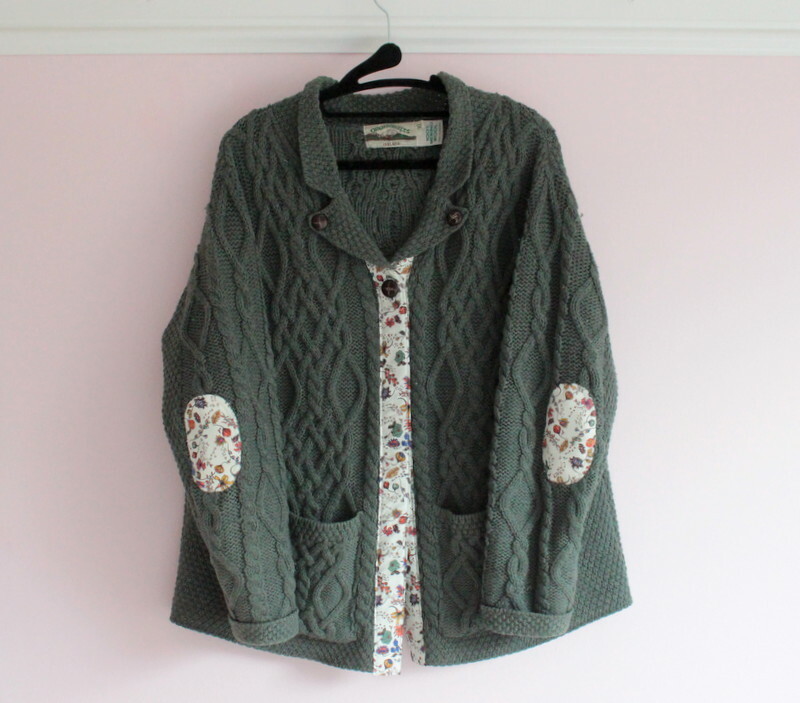 Not only does it breathe a bit of springtime into my winter wardrobe, but solves a problem. 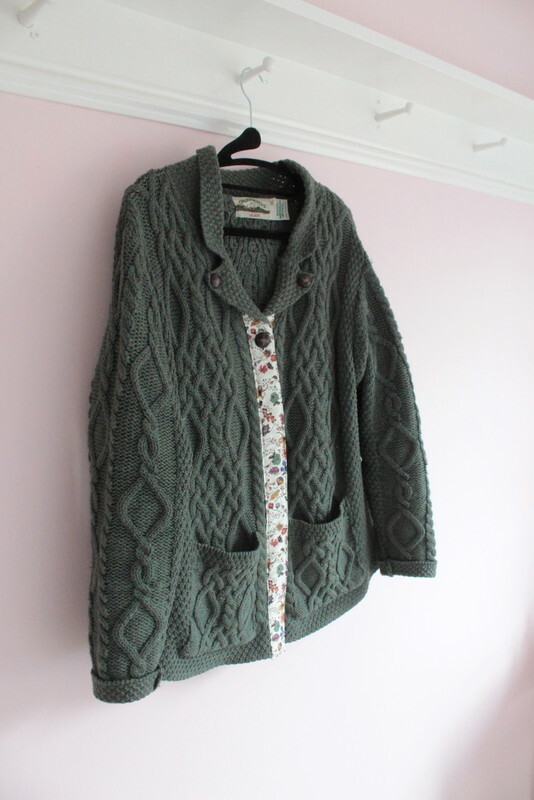 Yes, here is the beautiful sweater my daughter bought in Ireland four years ago. 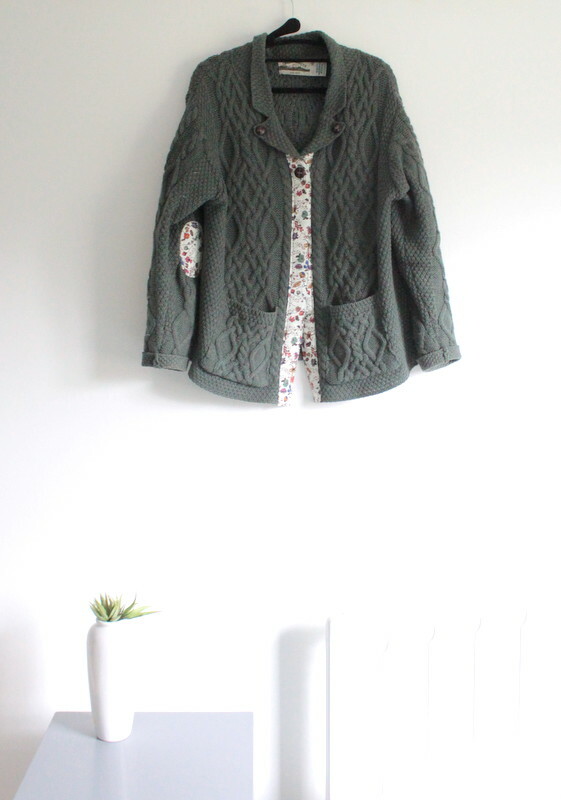 At some point during that time, the sweater became my go-to wardrobe piece every morning. 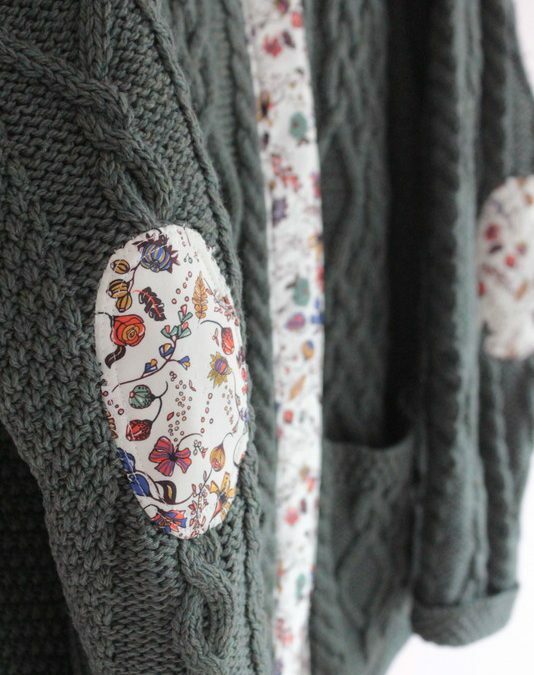 Rather than reach for a robe, I would grab this sweater. I like a cool house to sleep in, so the thermostat is set to 60 degrees at night and 67 in the daytime. 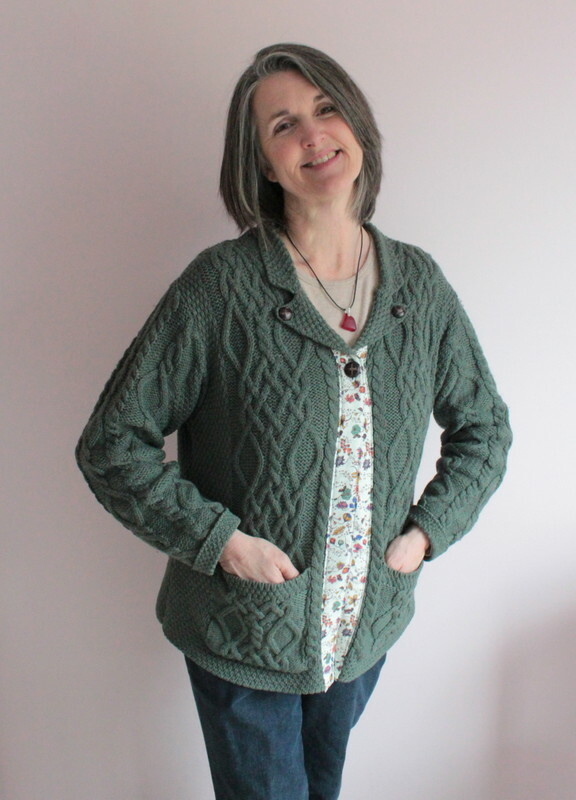 This cardigan was the perfect piece to wear around my home and sewing studio. At some point, though, I was embarrassed to be seen by my assistant, Sue, or the postman, or UPS delivery person! 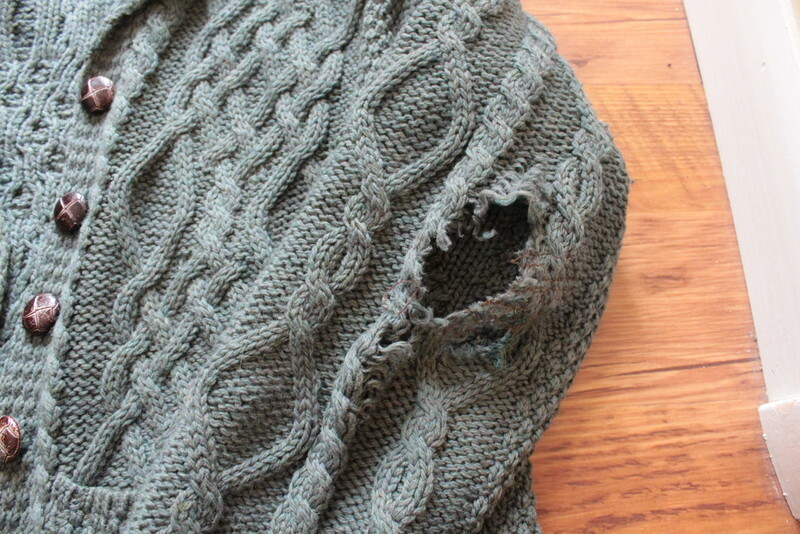 Yes, those elbows have seen some wear and tear! I had stitched them up with some thread to try to stem the wear. And the button band was ready to fall off! 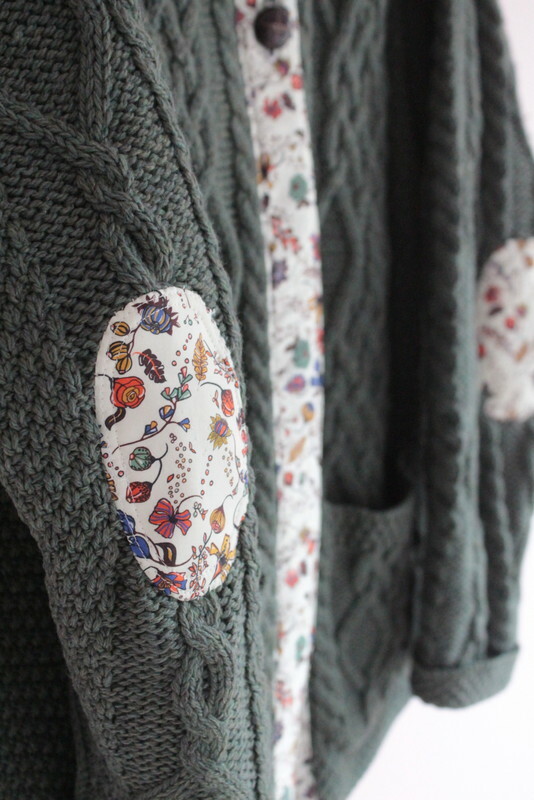 I had been brewing an idea of using a pretty fabric to repair the sweater. 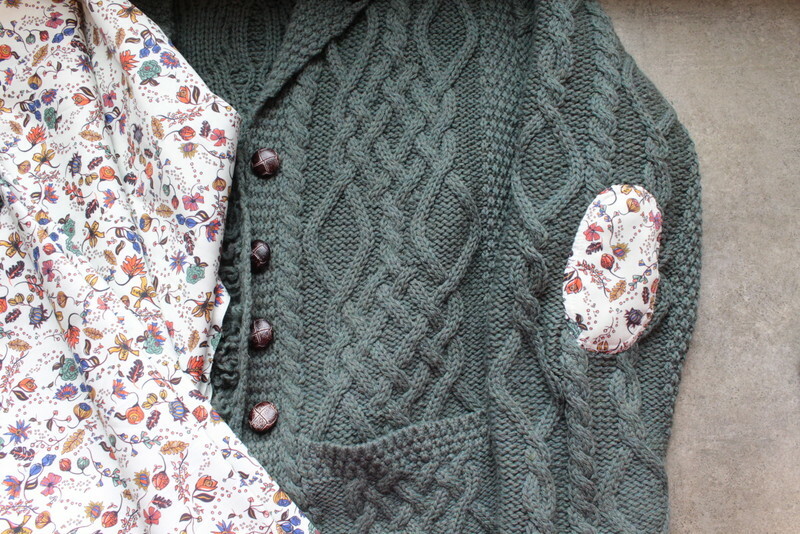 I thought I’d add elbow patches and a new button band and felt this sweater deserved a pretty Liberty of London fabric. 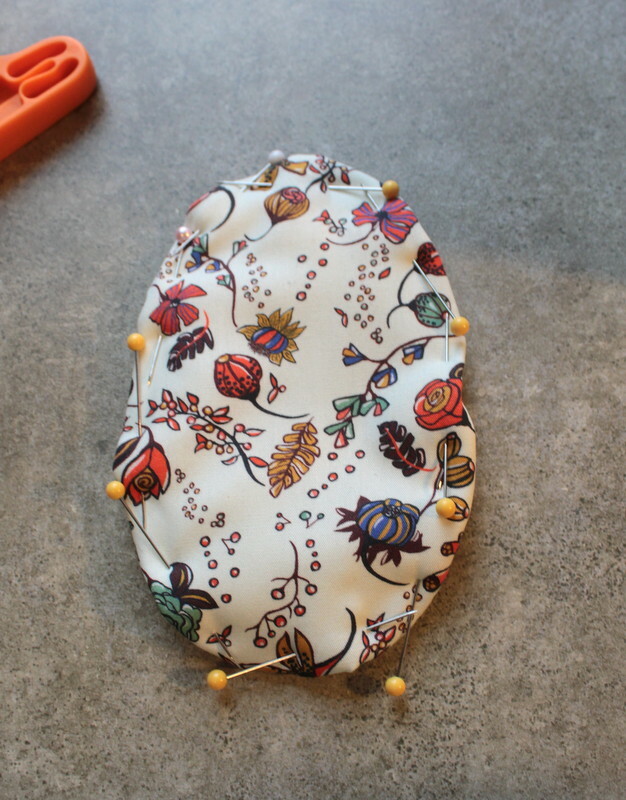 I purchased this Saville Poplin Pirouette at Fabric.com. I am not surprised I was drawn to this fabric. It is very similar to my first custom-made drapes and my current bathroom wallpaper. 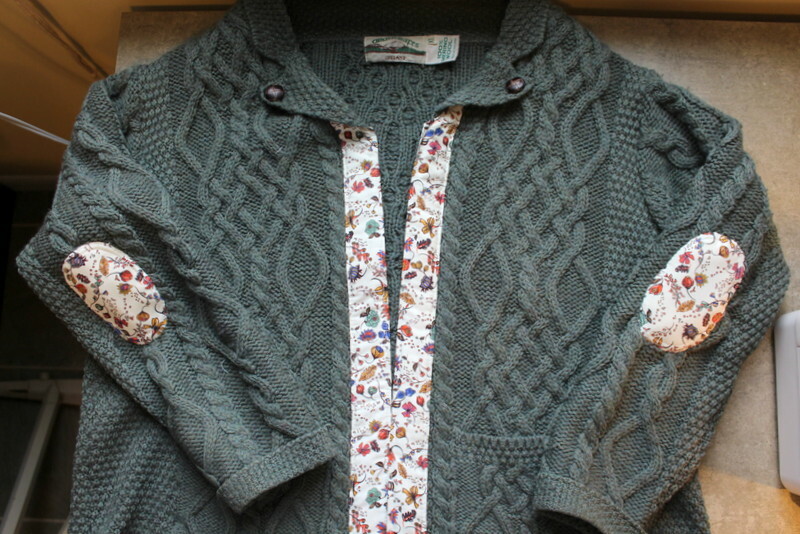 I love the blue and the greens in it. 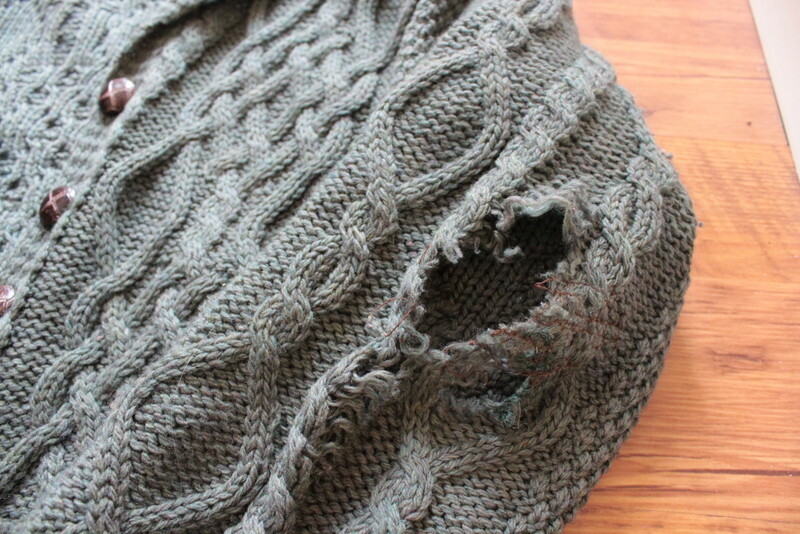 One elbow had such a large gaping hole, I wanted to close it up a bit with some yarn. 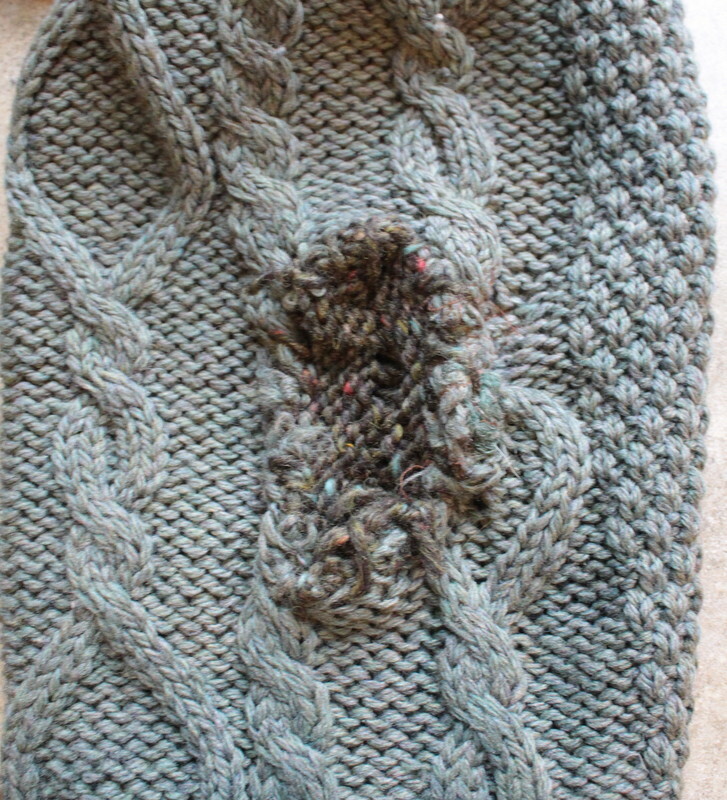 I completely winged this by picking up stitches with some scrap yarn around the perimeter of the hole. 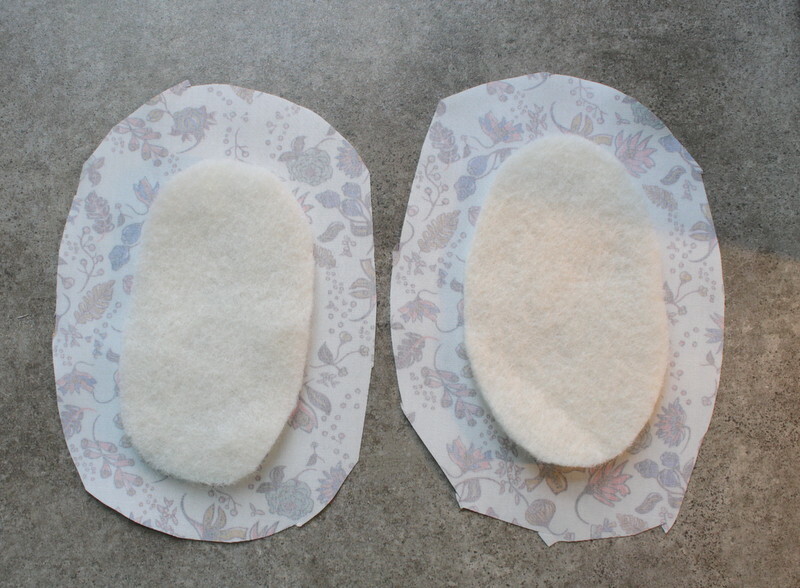 I then cut some wool felt that I had on hand (I use it for my angel ornament wings) into an elbow patch. 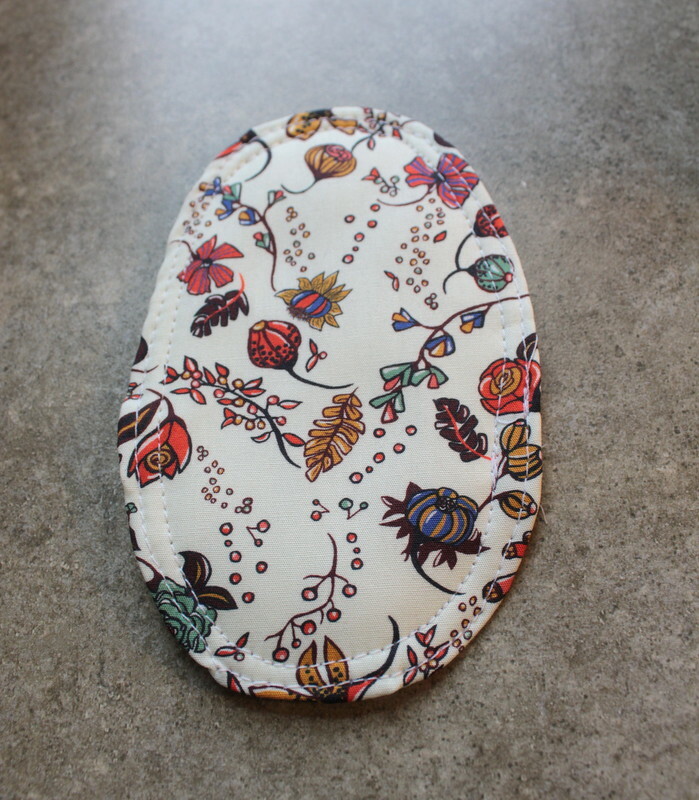 I cut the Liberty fabric about an inch larger than the patch and put a basting stitch around the perimeter of the fabric. I drew in the fabric. 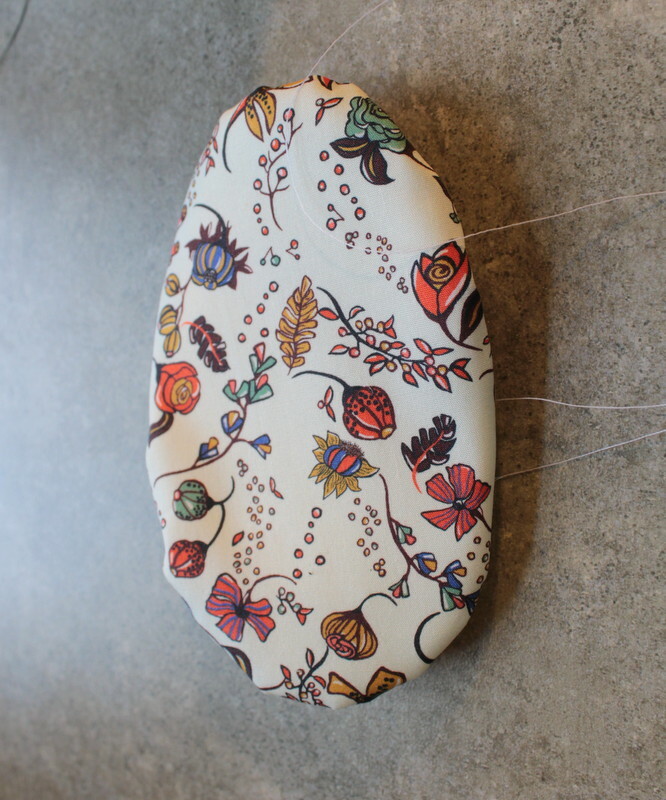 I was careful to smooth out the curves and then pin from the top side. 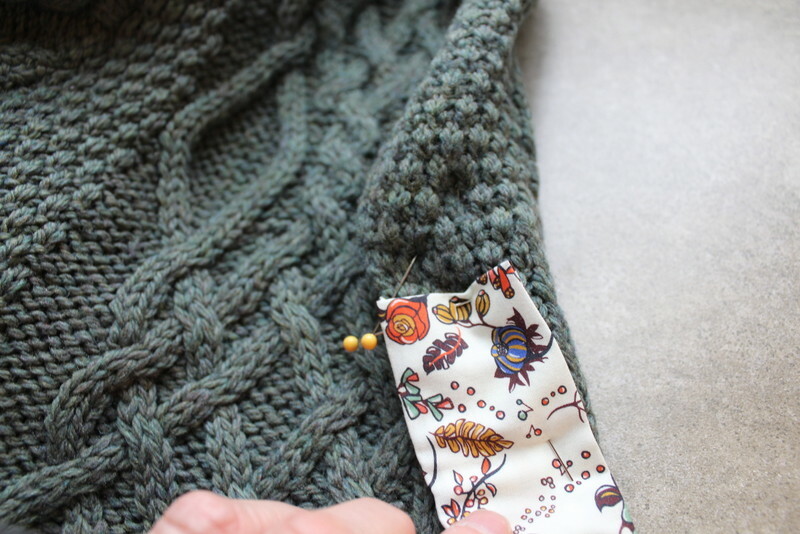 I then top-stitched close to the folded edge and 1/4″ from the edge. 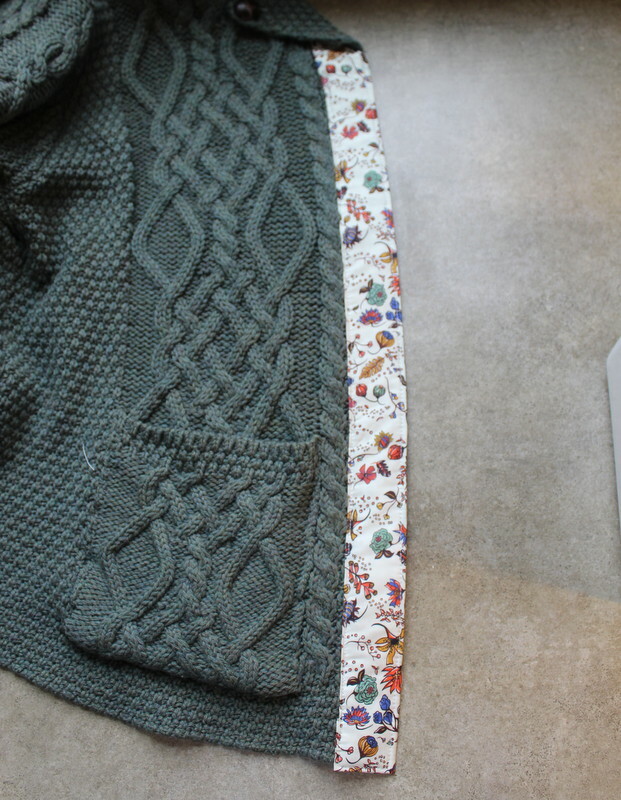 Using an upholstery thread, I hand-stitched the patch to the elbow. 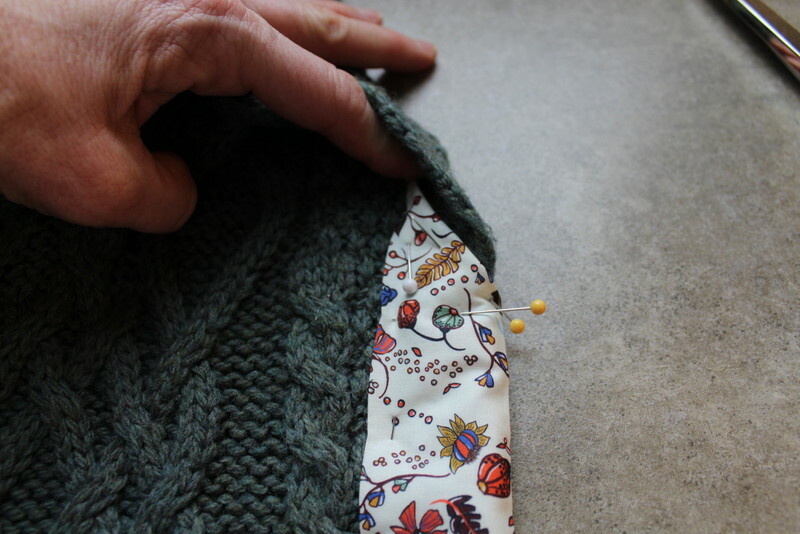 I slipped my pressing ham into the sleeve to make stitching easier. 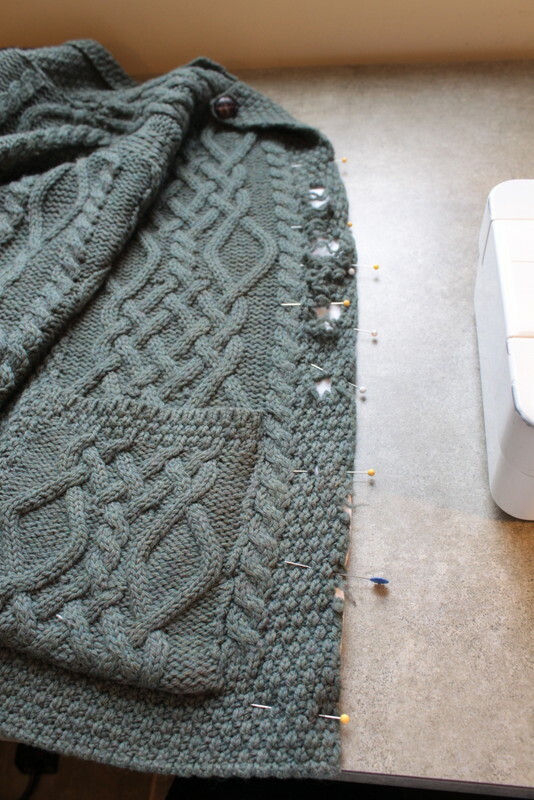 Now to tackle the button band. 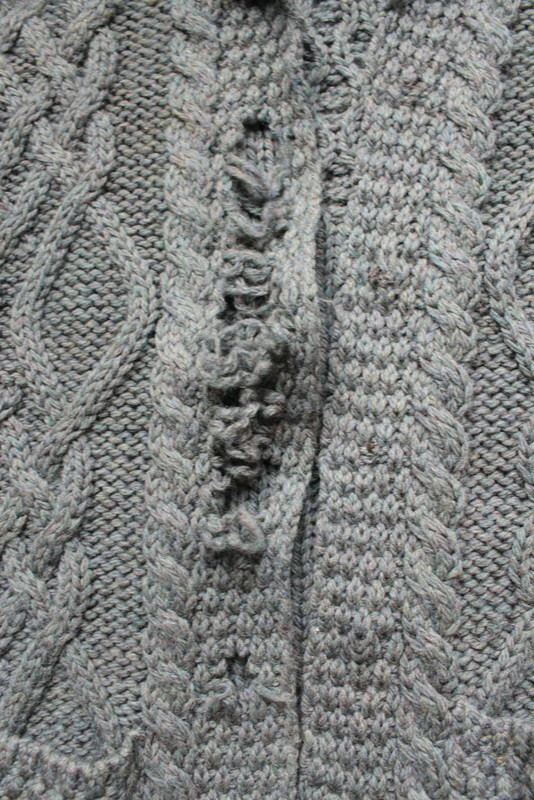 I didn’t feel I needed to repair this with yarn. 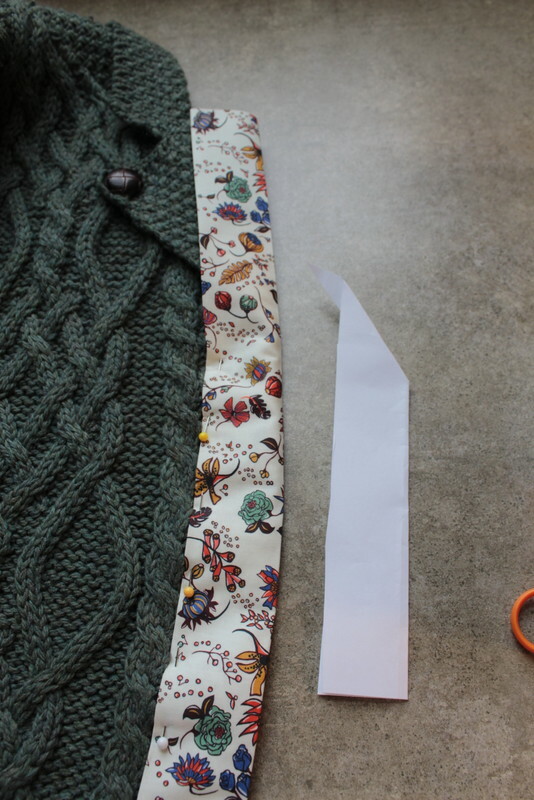 I cut a double layer of flannel 1.25″ wide and trimmed it to fit just below the collar. 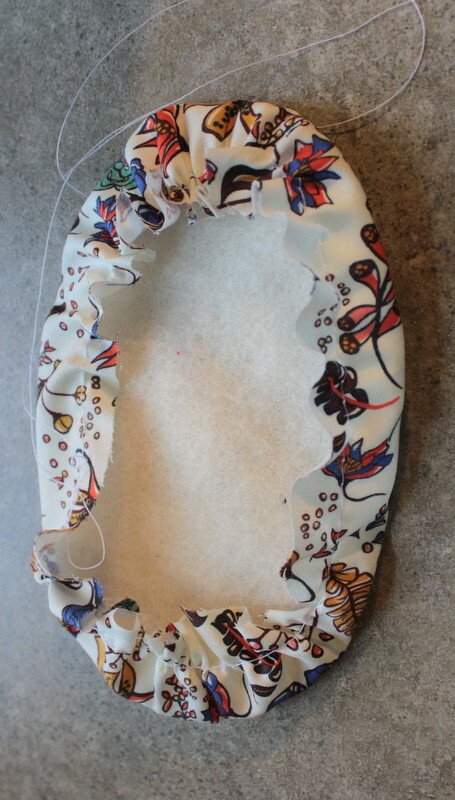 I pinned it in place and used the sewing machine to stitch it in place, while shaping the band into place. 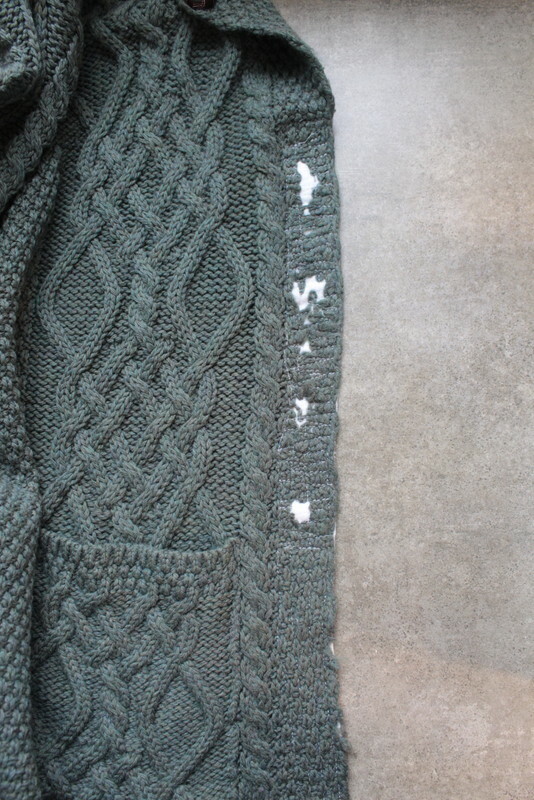 I stitched around the perimeter and then stitched back and forth over the open stitches. 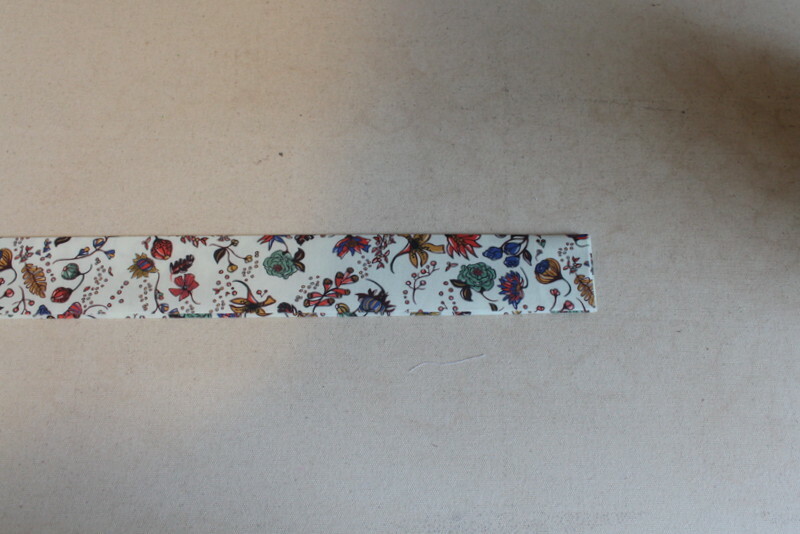 Since my band was 1.25″ wide, I cut my fabric 6″ wide, folded it in half, pressed and then folded each side in and pressed. I pinned the band onto the edge. I was going to keep it simple with the top being horizontal. 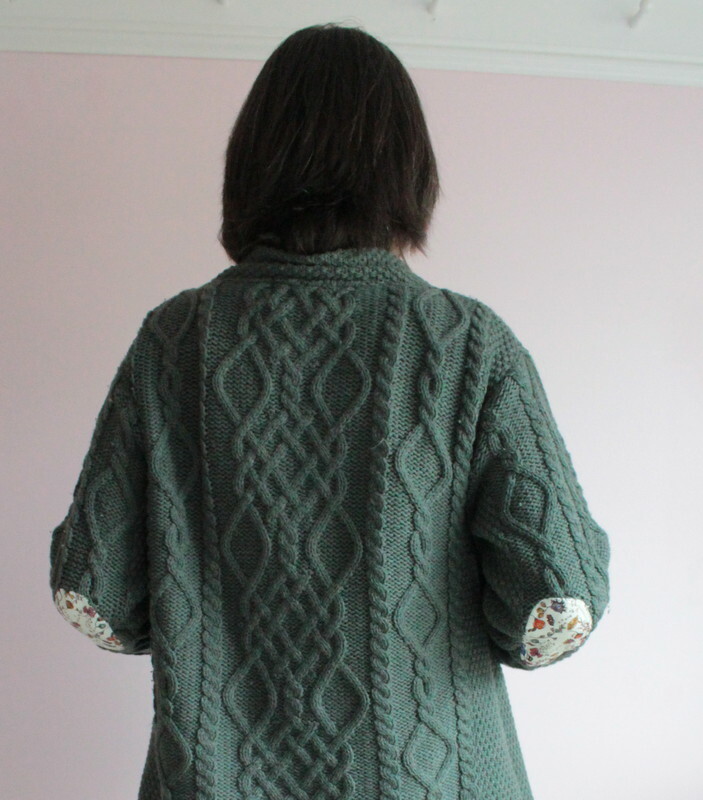 However, Annie thought it would look nicer if it tapered under the collar. 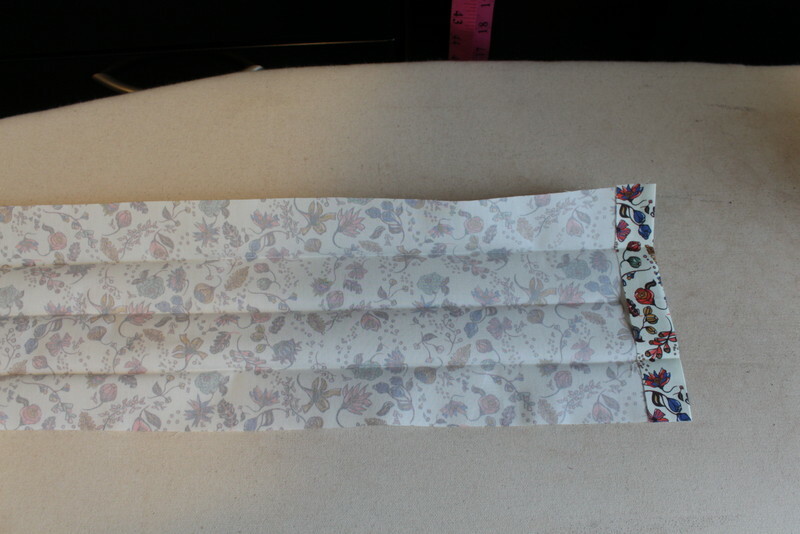 We mocked it up on paper because I had to figure out how to have the band fold over to the back. 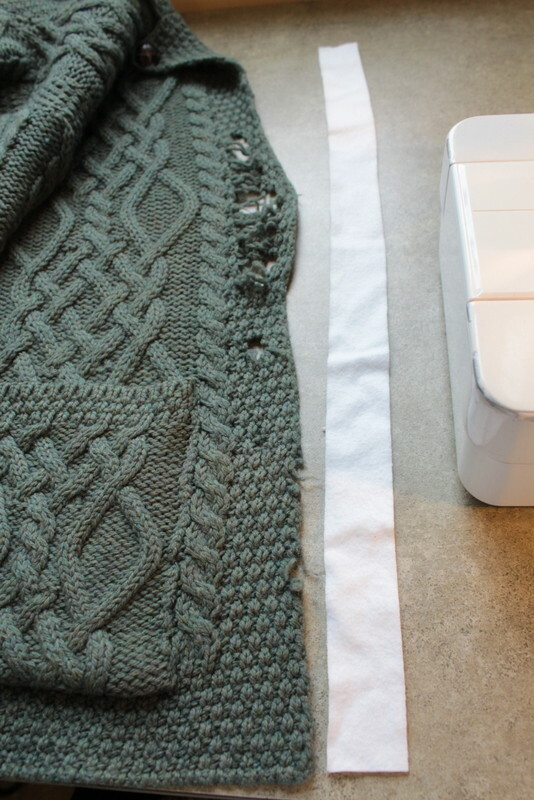 I trimmed the band at an angle just about where the collar started. 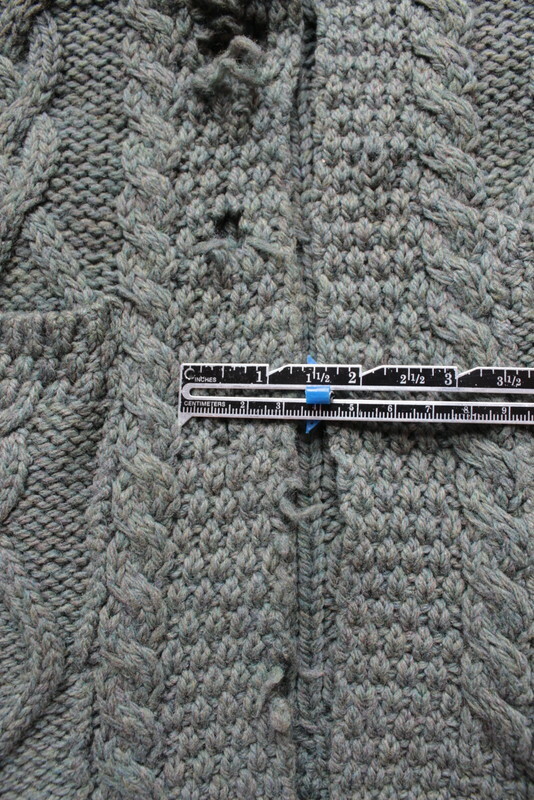 I pinned it in place and stitched around the perimeter of the band. 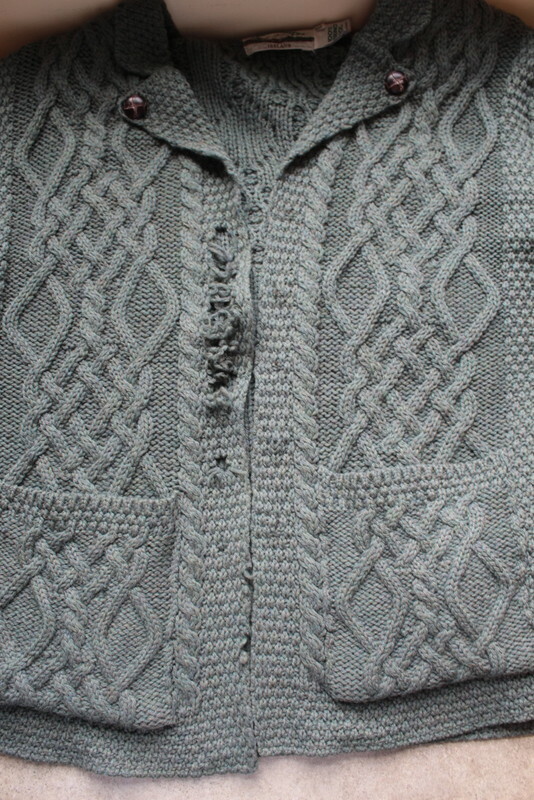 I removed the buttons. 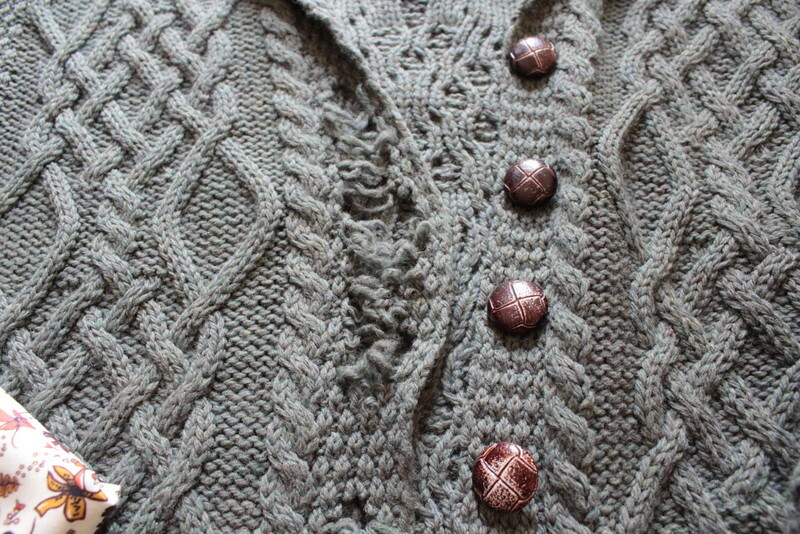 I knew that I didn’t want to put all the buttons back on but decided I would like one button at the top. 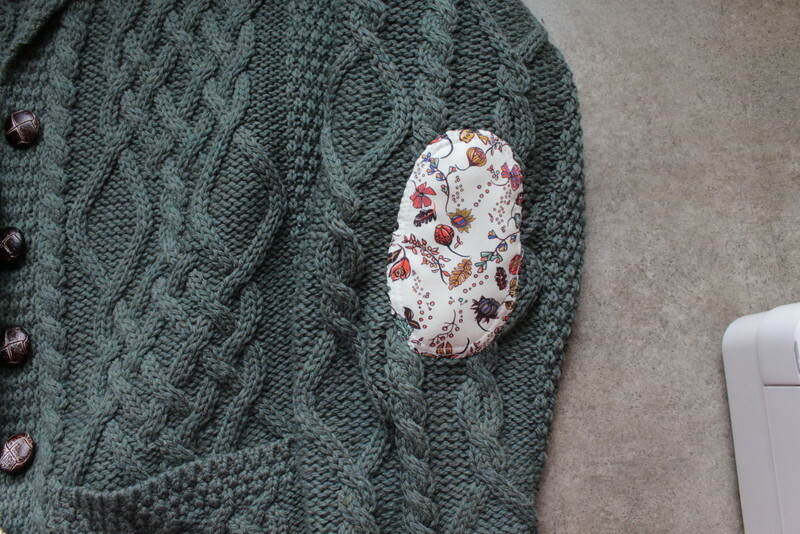 My buttonhole attachment works very well on cotton fabric. However, I knew the thickness of this would be a challenge. 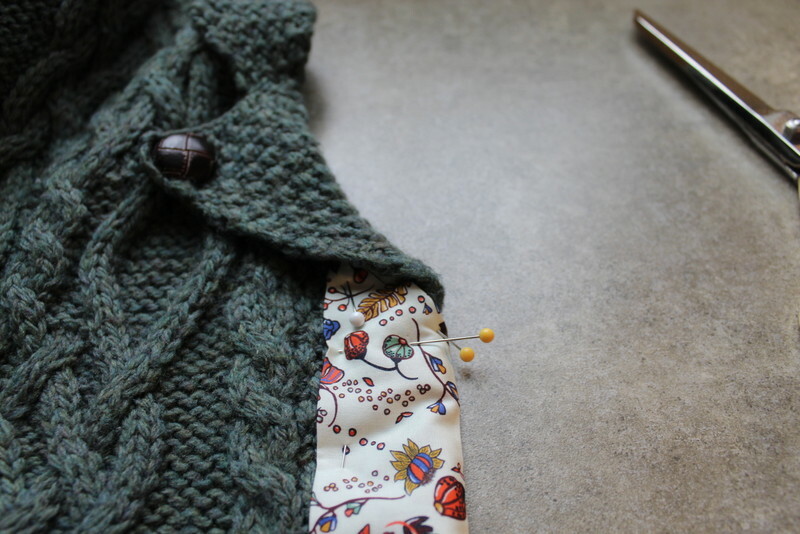 After a few attempts, I had to simply use the zig zag stitch to make my own buttonhole. Wonderful!! 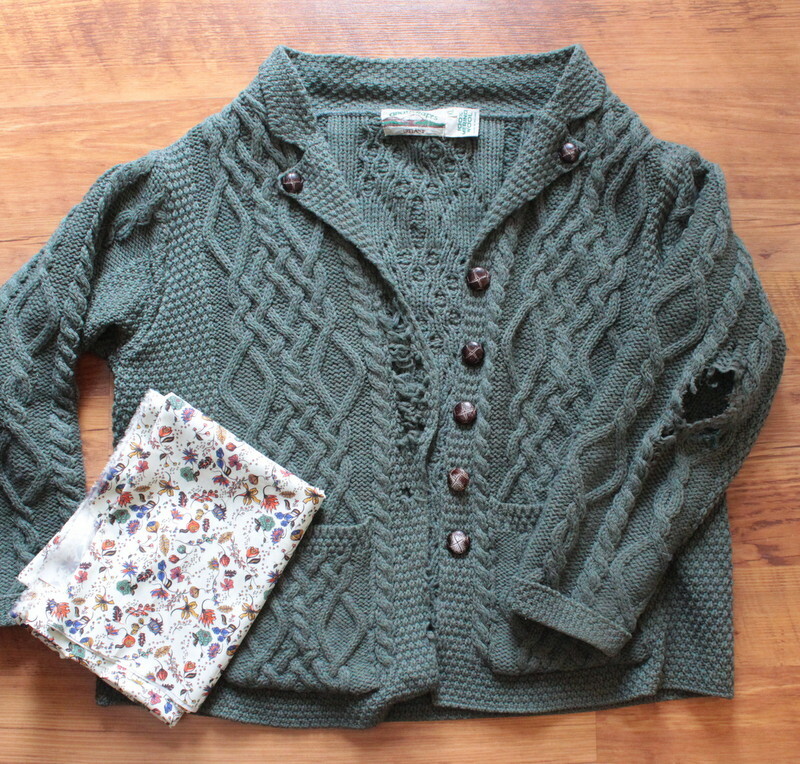 I won’t have to look very far to find my own tattered cardi to add some Lovely Liberty to get it back in shape. Thanks for the tutorial!! Thanks Elita! Please share if/when you do! Very cute. Great repair job !